Harold was born January 19, 1945 in Batesville, Indiana to Albert and Lillie (Spurlock) May. He lived most of his life in Hamilton, Ohio and graduated from Fairfield High School in 1963 where he was a four-sport athlete. 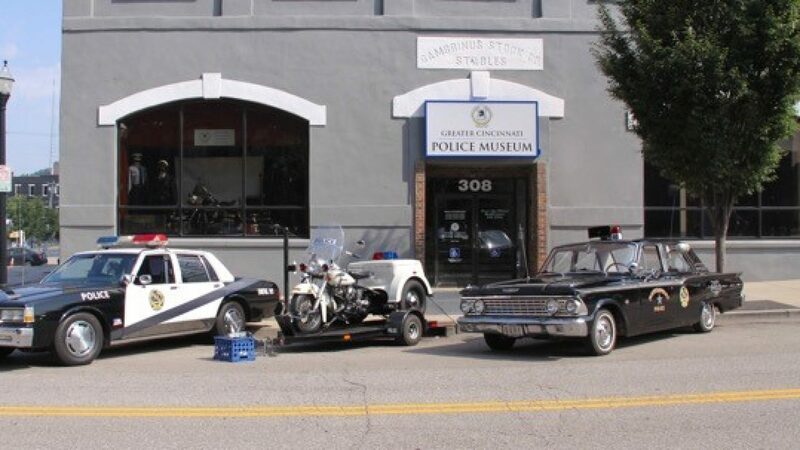 Harold joined the Butler County Sheriff’s Office during 1966 as a Deputy Sheriff. By 1969, he was promoted to Detective. During the first quarter of 1973 he was promoted to Sergeant and during 1974 acting as Detective Sergeant. Also during 1974 he became the first Butler County Sheriff employee to graduate from the FBI National Academy. Upon returning from Quantico, on December 20, 1974 he was appointed Captain and commanded the patrol force. Captain May organized and trained the Sheriff’s first Special Weapons and Tactics (SWAT) team. He resigned March 6, 1977. By 1982, Harold was back in law enforcement, working as a Patrolman with the Fairfield Township Police Department. In 1983 he was appointed Police Chief. Chief May also worked at General Electric, Lebanon Correctional Institute, and General Motors. He retired from General Motors in 2006. During 2008, he moved to Lake Helen, Florida. Chief May passed away in Lake Helen on May 13, 2018 at the age of 73. He was predeceased by his brother, John May, Sr. Chief May is survived by his children, Tracy (Linda) May and Tari (Lance) Clayton; grandchildren Tanner May, Katie May (Iwan Llyr), Jacob Clayton, Rylan Clayton and Ashlyn Clayton; and sisters, Lana Kruse and Pamela Long. Visitation will be held 9 a.m. to 10 a.m. on Saturday, June 2, 2018, at The Webster Funeral Home, 3080 Homeward Way in Fairfield. A celebration of life will be held at 10 a.m. with Pastor Paul Hurst officiating. I personally knew Harold May. I first met him around 94-95. He was a very honest man not to mention a very honest Law Enforcement Officer. Men like him are far and few between. Law Enforcement need more honest people like Harold May.